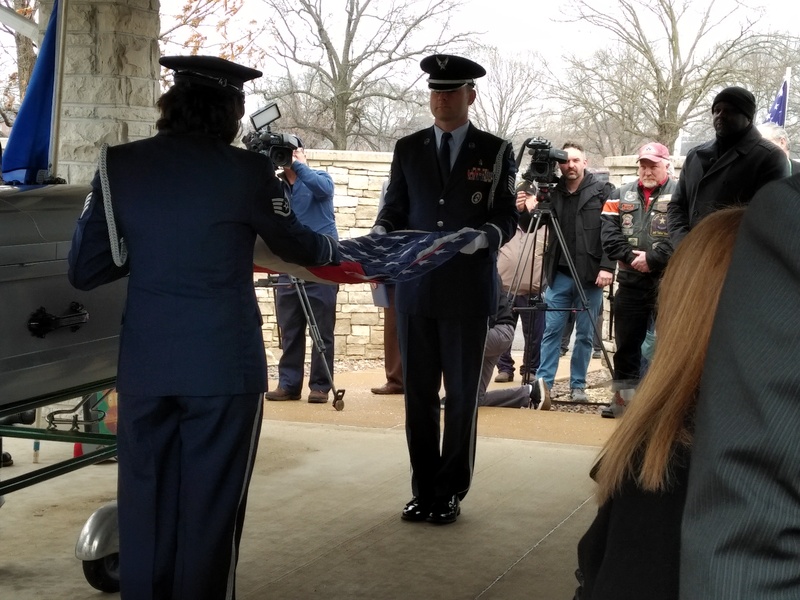 An Air Force veteran was scheduled to be buried with full military honors Friday at Missouri’s Jefferson Barracks National Cemetery — but he was going to be buried alone, if the community did not do something. 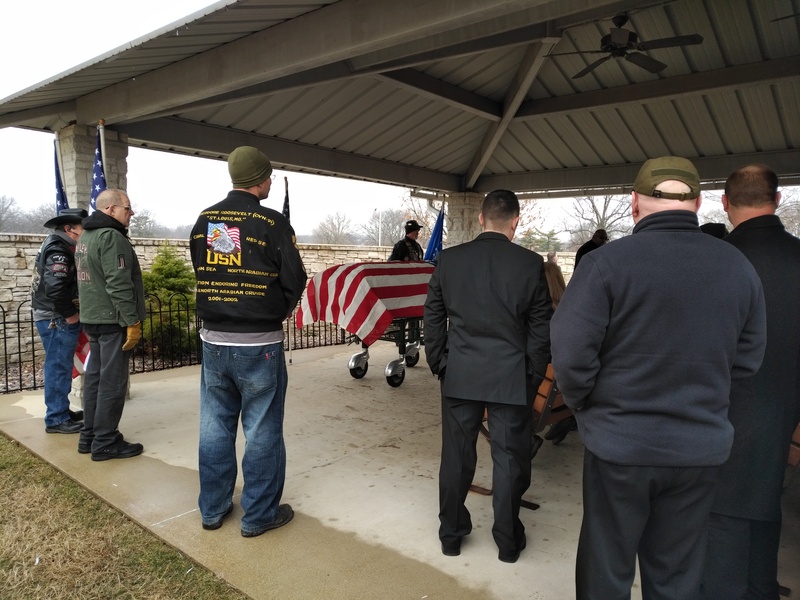 Air Force Sergeant Robert Wunderlich, believed to be in his 50s at the time of his death, was part of Missouri Veterans Endeavor (MOVE), a local community serving homeless veterans. He did have a few surviving family members, MOVE’s executive director William Wallace told The Daily Caller, but they only learned of his memorial service 24 hours earlier and were not able to make the trip on short notice. Some 150 perfect strangers gathered to pay their respects to a man that none of them had ever even met. 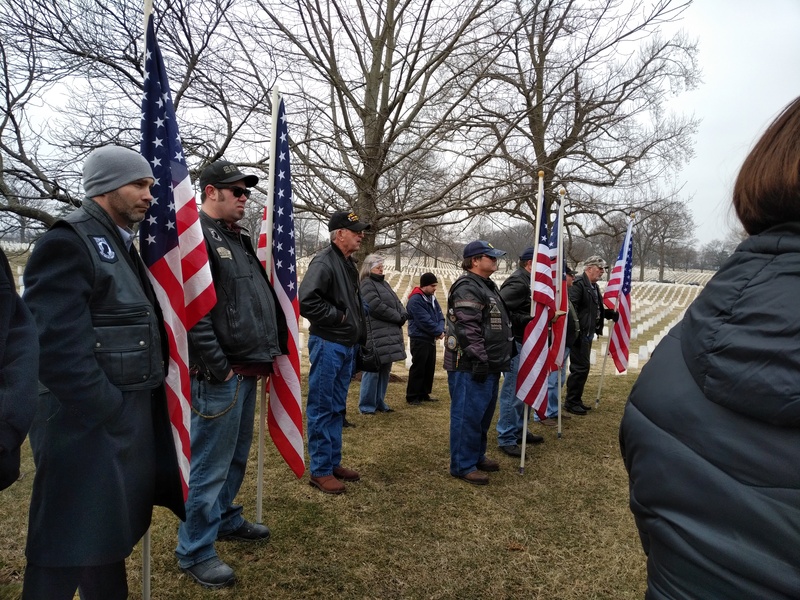 The Patriot Guard came out in force, and several members told the Caller that even in spite of the 30-degree temperature, this was one of the best turnouts they had ever seen at an “unaccompanied” service. “He had a big family here today,” one attendee said as the service began. As the ceremony ended and the crowd filed away, one man yelled from the street, “Show of hands: how many of you just learned about this service this morning on the local news?” Well over two-thirds of those present raised a hand. Well done, St. Louis. Well done.